" OUR'S VOTE IS NOT FOR SALE "
WHY WE NEED TO VOTE ? One of the most important features of the democratic policy is elections at regular intervals. Holding periodic, free and fair elections are essentials of a democratic system and a part of the basic structure of the Constitution. The Election Commission is regarded as the guardian of elections in the country. The Election Commission had tried to bring improvements in election procedures by the introduction of Electronic Voting Machines or EVMs. It was thought that these would reduce malpractices and improve efficiency. You Can Check CANDIDATE AFFIDAVIT MANAGEMENT Before You are going to use your Power Of Vote , Just because you do not take an interest in politics doesn’t mean politics won’t take an interest in you and Your Vote is more Powerful than the Bullet. So Use Your Powerful Vote For Future of this Country. Presently there is a lack of fast information channel to transmit and track complaints on MCC violations. Delay in reporting of Model Code of Conduct (MCC) violations has often resulted in the culprits escaping detection from the flying squads of election commission entrusted to ensure enforcement of Model Code of Conduct. Further, lack of any documented, untampered, evidence in the form of pictures or videos was a major hurdle in establishing the veracity of a complaint ex-post facto. For More Click Here. 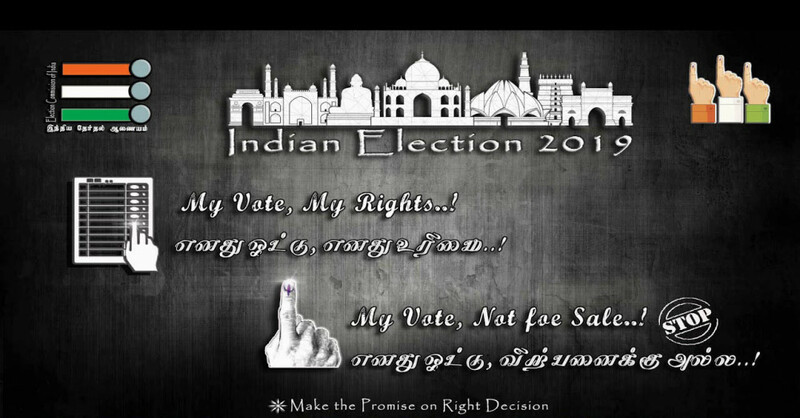 So, Above we have Tried to Provide Basic Information About Elections and Importance of Vote , Please Use Your Powerful Vote For Our Country On 11 APRIL 2019 ; Time :: 07:00 AM TO 04:00 PM (AP/TS) , If You are facing any issues in election time or If any one is Trying to Buy Votes please Call : 1950 or Voter Helpline App , or Use cVIGIL to Report . So Don't Miss To Book Mark Our INJNTU.COM Page & Install Our Android App To Get All Notifications About Jntuk, JntuH Updates & Rc / Rv Results Directly On Your Mobile Phone. Don’t Forget To Share This Basic Information About Elections and Importance of Vote , Among All Your Friends & Colleagues. Make Them to Check This Basic Information About Elections and Importance of Vote. Also Share This Info On Your Social Media Pages.